Why We Love Diving The Titanic of the Med! The Queen Zenobia was a roll-on, roll-off ferry which was built in 1979 and unfortunately sank on her maiden voyage in 1980 – which is why she is often referred to as ‘The Titanic of the Mediterranean’. We thought it would be easy enough to write a list of the top five wreck dives in Europe or even the world, maybe we could just type it in to Google and ask them for a list. We could even start some polls on different Facebook groups. But alas! It was not that easy, mainly because every ranking list you read will have different wrecks located on different sea beds listed in their top 10 and top 5 and Facebook is filled with divers who have different opinions and streams of shared information. What we came to realize is that something is only ‘The Best’ if you personally think it is – One Tech Divers dream penetration may be the next recreational diver’s nightmare! Therefore, I decided to ask our very own Crest Diving team their reasons as to why they love diving on our local wreck, Europe’s number one (according to us and probably everyone else who has dived there), The Zenobia! It’s easily accessible – The Zen sunk on her maiden voyage just over 1 mile off the coast of Larnaca. With little to no current and a very small amount of boat traffic on any given day it is not hard to get to the dive site and get on her. If you are in or around Limassol we have multiple trips to the wreck per week that we include transfers in the cost of your dives. Dives for all level divers – The top of the wreck sits at just 16-meters so technically an Open Water diver would be able to dive the Zen, of course this all depends on the skill of that diver and whether the instructor feels that the diver’s buoyancy control is up to scratch (a PPB and deep Adventure Diver course would be fantastic additions to your diving education to ensure safety and comfort below the surface). Not only that, but if you’re lucky on a dive you can be a spectator to the ‘free’ dives that take place around the bow of the wreck. The bottom of the wreck sits at 42m in depth and there are of course a multitude of penetration options for more advanced divers, TEC Divers and wreck spec divers. Marine Life – There is an abundance of marine life around the wreck because it is of course a protected area. The groupers are enormous, there is a resident turtle that lives on the wreck and I personally favour the stunning purple Nudibranchs that are dotted around if you are lucky enough to spot one. What you can see – The Zenobia is unique in the artifacts that you get to see. Originally The Zen was built as a role-on, roll-off challenger class ferry at 178-metres long and with a beam of 28-metres there is a lot of her to get around. She was fully stocked when she went down; this means that not only do you get to see the shipwreck itself, but also everything that was on her when she sunk. Not much of her cargo has been brought to the surface and therefore you will be able to see articulated lorries and lifeboats, cars and vans, bathroom appliances and even the tables, chairs and vending machines in the canteen area. Alongside all this there are the bones of the animals that where onboard when The Zenobia went down. 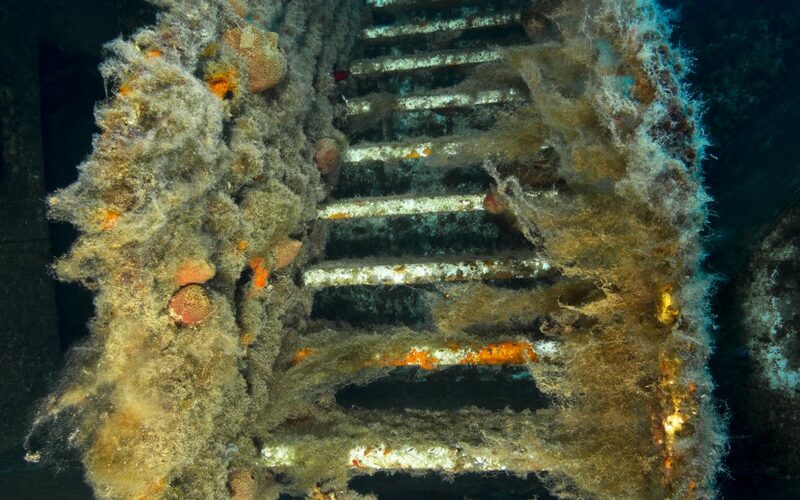 While all of the humans on board survived the sinking, unfortunately there wasn’t enough time to get the wildlife out of their cages and off the ship and so their bones still lie in their final resting place. Different strokes for different folks – You don’t ever have to do the same dive twice! The wreck is so big that if you are a visitor to Cyprus and wish to dive 2-3 or even 10 days of your holiday you never have to do the same dive twice – on average it would probably take you over 25 dives to actually visit most of the go to sites. There is so much to see from the car deck to the chimney shaft, canteen and lower deck, the opportunities are endless. So as you can see this is a limited list because this wreck is just so phenomenal to dive you can’t fit all of its good points into one post! The sheer size of this wreck will take your breath away when you first descend down the line onto the starboard side of her majesty. The visibility is around 15-metres on a bad day during high season and can be up to around 35-metres when it’s good. Peak water temp reaches around 27degrees. If you would like to plunge into this fantastic dive site with us then we are happy to help you with any queries you may have via the website or our Facebook page. If you want to thoroughly dive The Zenobia but are certified as an Open Water diver then there are more options available for you. Advanced course – You will get 2 dives on the Zen doing an advanced course completing a deep and wreck dive and will also have 3 other dives at different sites around the area to complete several other skill based dives. You can complete this in 2-3 days. If you don’t have the time to complete a whole advanced course then you can do an Adventure dive course with us – this could be a Deep Adventure Dive or Wreck Adventure Dive and can be done in a day. Typically we do 2 wreck dives on The Zenobia so you can of course complete them both in one day! If you are a more advanced diver then there are a multitude of options for you – we have several Instructors with different levels of experience and training – including Sidemount, Deep and Wreck specifications, Nitrox and many more. And of course, we would just like to mention that the Zenobia was named after a female, one of the strongest and most powerful reigning Queen’s that the world has known – so it must be special ;)! !